We attract excellent employees to work at our school. 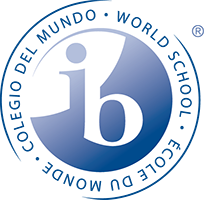 TISA is an IB World School that brings together 99 full-time teachers and administrators from 18 countries - offering highly competitive salaries and comprehensive benefits packages. We are committed to safeguarding our students, and all staff working in TISA are checked for criminal records. All our teaching staff are university-certified and most hold advanced degrees. Ample professional staff development opportunities are available during the school year. Funding is also available for continuing education courses. We expect all new teachers without IB experience to become acquainted with the relevant Programme as quickly as possible and generally require teachers to attend a summer training course before the start of employment. Our significant PD budget provides for IB workshops both abroad and school-based; whole school and division development ‘PD days' with visiting educational experts and leaders; graduate coursework; and conferences, workshops and courses in a variety of areas appropriate to programmatic, departmental and personal development. Applications are open in Primary School for the positions of Nursery and P1 Homeroom Teachers for academic year of 2019-2020. Qualified candidates should fill in the Application Form placed on TISA website and send it to hr@tisa.az.The deadline for applications is Friday, May 3, 2019. Further information on selection procedures will be communicated to short listed candidates only. Currently we are looking for a full-time Secondary School Art Teacher to start 1stof August 2019. The post will involve teaching Middle-School Art as well as some additional teaching duties to be determined once an appropriate candidate has been selected. Qualified candidates are requested to fill in the Application Form placed on the TISA website at http://www.tisa.az/vacancies and send it to hr@tisa.az. Azerbaijani citizenship is required to hold the position. Only shortlisted candidates will be contacted. The deadline for applications is 30thof April 2019.